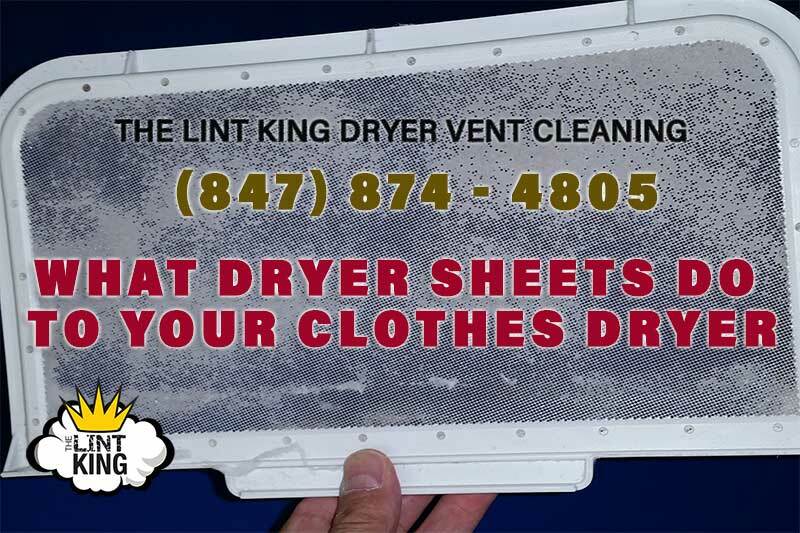 Schaumburg clothes dryer vent cleaning and Repair Company. 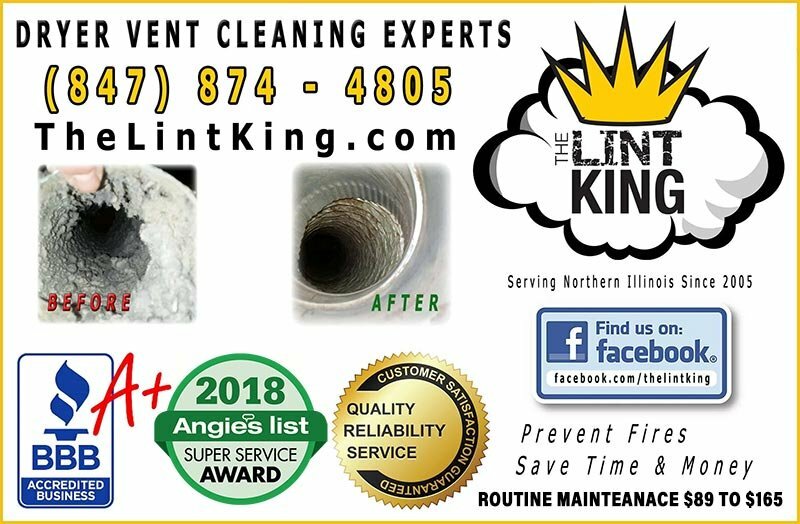 The Lint King Dryer Vent Cleaning Experts Serving. 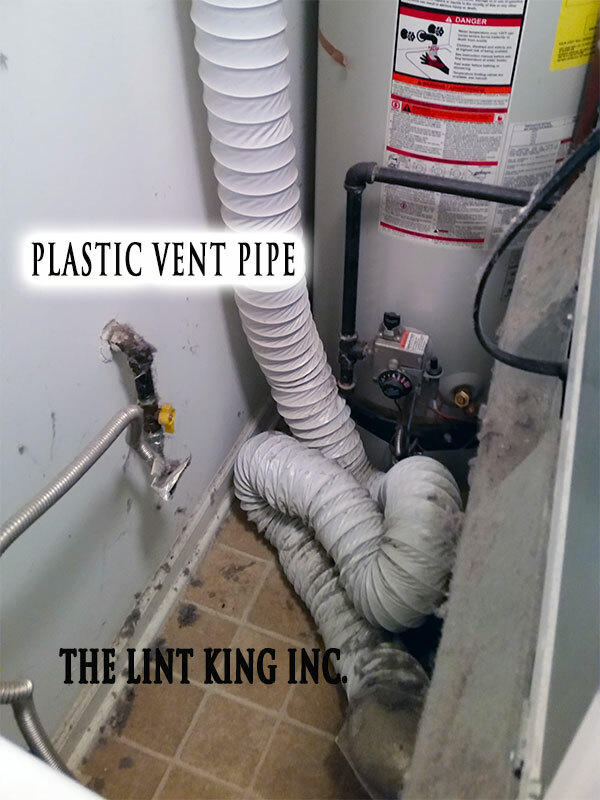 Clothes Dryer Plastic Duct Safety Issue The Lint King Inc. The minimum-allowed clothes dryer exhaust vent piping diameter for all installations is 4″. Plastic Flex Duct is a flexible dryer vent duct with a spring wire covered with plastic. I’ve seen this material used in older homes as “dryer vent ducting”. Plastic should not be used! There’s a variety of materials that I’ve observed that are bad or even be a safety concern in your home. Paul Meyers @ The Lint King Inc. The hot, humid air exiting your clothes moves from inside your dryer through the vent pipe to the outside. Restricting the airflow causes the appliance to overheat, resulting in a fire! Clothes dryers purchased in the past 10 years or so should have a maximum drum temperature of 135 degrees. Read more about clothes dryer operating temperatures. Over time, lint builds up in the pipe and under the lint trap. Without regular dryer vent cleaning, the moisture in your home increases with each use of the clothes dryer and your machine will be less efficient over time. A clogged dryer vent pipe lowers your indoor air quality and can cause a dryer fire. If drying time takes longer, your clothes get hot, there’s a burning smell, or you haven’t had it done in the past 2 years, you should have your dryer vent cleaned soon! Drying a load of clothing shouldn’t take longer than 45 minutes, but a dryer with a clogged vent could take two or three times as long to dry the clothes. Dryer vents push hot, moist air out of dryers so they can pull in the more dry air and keep drying clothes effectively. If the dryer vent clogs, moist air from the drying process won’t have anywhere to go, so it wastes energy, increases your utility bills, and wears out the machine and your clothing. 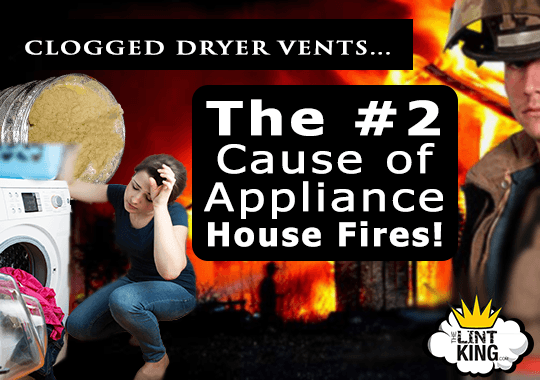 If your clothes aren’t dry at the end of a normal drying cycle, about 45 minutes, you should have your dryer vent airways and vent checked for clogs. You’ll also notice a smell from mold or mildew growing on wet clothing. If you smell something odd when you run your dryer, it’s probably lint or plastics. 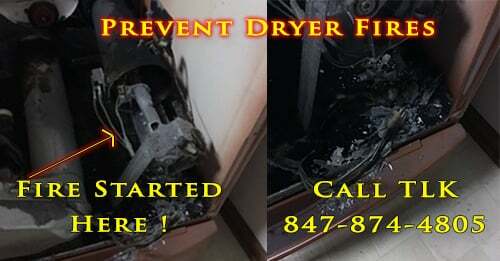 Dryer lint is very flammable, and the burning smell comes from the motor, internal parts, and trapped lint. Lint is very flammable and can even catch fire. 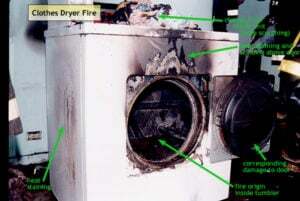 If your clothes dryer smells like it’s burning, turn off ASAP and have the appliance inspected by a professional. When a dryer vent airflow is slow because of clogged ductwork, your appliance will feel hot and your laundry room and clothing may feel hot as well. The outside vent interface is where the air from your dryer exits the home. The outside vent opening is 4 inches wide pipe. If you see lint or lawn debris around the opening you should have your dryer vent airways cleaned. When the outside vent flap doesn’t open when the dryer is running, then lint has blocked the airflow and you should have it cleaned out ASAP. Have your dryer vent transitions and ductwork cleaned and inspected every year to save energy, make your dryer more efficient, and prevent a fire or carbon monoxide poisoning. Hiring a professional isn’t expensive, on average only $125, and an experienced technician has the equipment for almost any home’s structure. At The Lint King Inc., we use a rotary brush with a powerful vacuum to remove debris. Be aware that with some types of home kits and you could damage your vent by accident, or get the tools stuck in the vent pipe behind walls and ceilings. more frequently. If you attempted cleaning your dryer vent system and you’re still having slow drying times, you probably need to have your vent repaired or replaced. 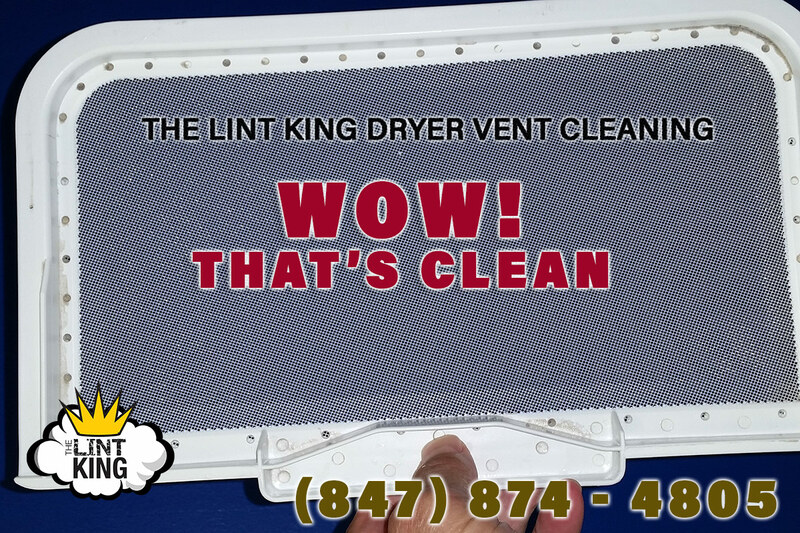 The Lint King Inc. has more than 15 years of laundry room safety and energy efficiency experience. We can help with installations, maintenance, or repair. Call us anytime at 847-874-4805 for excellent service from our trained technicians. 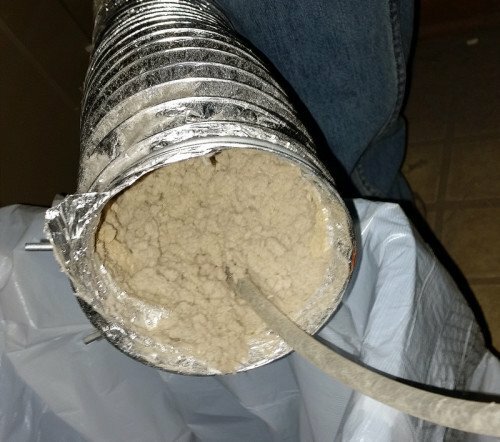 Is your dryer vent is fairly short? If so, it’s still good to have it cleaned by a professionally every year or so. Depending on your laundry habits and number of people and pets reside at your home. One aspect of our clothes dyers inspection is checking the dryers’ airways… making sure there as clear as possible. Did you Know that lint builds up in more location than most homeowners understand? Lint is under the lint trap, the dryer vent, and the dryer cabinet. This is more of a fire hazard than lint in the duct work! 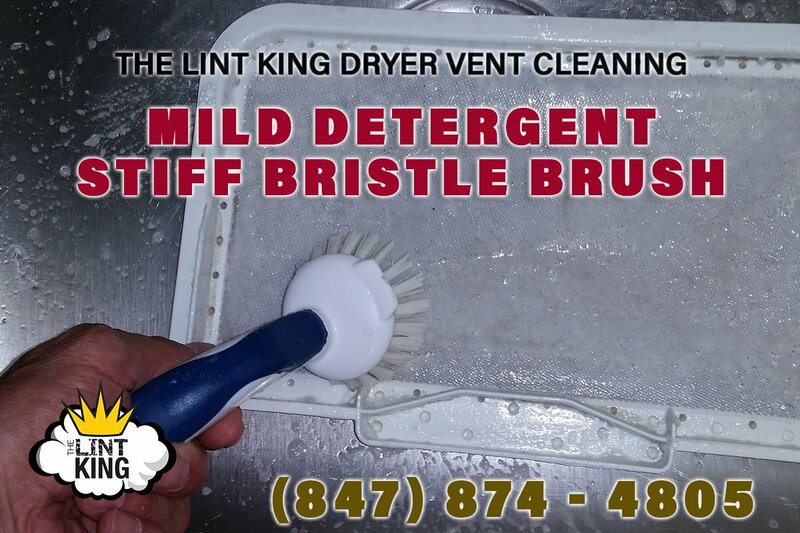 DIY dryer vent cleaning often fails to remove all of the lint in the vent, or clean out the dryer airways. Homeowners think that leaf blowers will get the lint out. Do so can compact the lint into corners, making it more difficult for a professional to clean out. Frustrated homeowners often call us after attempting to clean out tier dryer ducts, only to make it 90%, or so. This is because the tools won’t reach, or the homeowner is not skilled at using the dryer vent cleaning tools. Dryer Vent Cleaning Starting at $89 Call 847-874-4805 for Quote.